Choose, reserve, pay and go. It’s never been as simple as this. 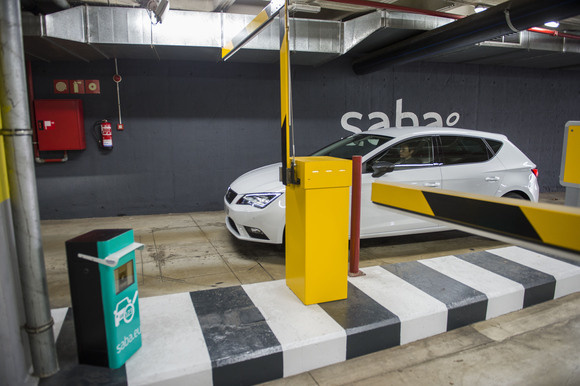 Driving around looking for a parking spot becomes a thing of the past in a new concept developed by Samsung, Spanish automaker Seat and SAP. The three envision drivers in the future calling up a map of a car park on a smartphone app, then selecting, reserving and paying for an available space from their phones. When they get to the car park, they can drive right up and park without any fuss. The concept will be on show at this week's Mobile World Congress expo in Barcelona, which is close to the headquarters of Seat. It was developed out of a partnership that began last year between Seat and Samsung and now includes SAP. It runs on the back of Samsung Pay, which handles the prepayment of the space, and the SAP Vehicles Network, developed by SAP for the automotive industry companies like car park operators. At Mobile World Congress, Seat and Samsung are also showing an evolution of a digital key concept unveiled at last year's event. The digital key system allows drivers to unlock their car doors, turn on the air conditioning and open and close windows remotely from a smartphone. The latest version allows drivers to authorize others to share the car without the need to transfer a physical key. It sends an authorization to the other person's smartphone giving them access to the car. A time limit can be set on the permission, and even some car functions can be restricted. So, for example, if a parent gives permission for a teen to drive a car, the maximum speed can be set or the car can be programmed into a specific efficient driving mode. There's no word on when either of these technologies might appear in production cars.